It took 19 career starts for Paradanza but she finally broke her maiden status in scintillating style when she decimated the field at Cranbourne over 2060m to score by 5 lengths for Mornington-based trainer Tony Noonan. It had been a very long wait for connections who had watched their 5-year-old mare by Danehill Dancer finish in the first four for 12 of her previous 18 starts. “Full credit to the owners who have been incredibly patient with this mare,” said Alfred Chan, Racing Manager for Tony Noonan. “There was good speed in the race and Bossy just peeled out at the right time to give her a perfect ride. “Michael Walker got off her last start and recommended we put the blinkers on her and we did today so Bossy’s done very well with the pick up ride. It had been a story of musical saddles after Walker had failed to make a full recovery from a back injury and forced to withdraw from the ride which enabled Glen Boss to take over after his ride in the race was scratched. Jumping well from the barrier with blinkers on for the first time, Boss settled Paradanza forward of midfield where the mare was put to sleep in the run with cover. By the 800m mark, Boss commenced his run as Paradanza ($6.50) crept into the race under minimal pressure before hitting the front at the top of the straight and give a strong kick to careen away by 5L from Here’s Ya Hat ($9) and Tropez ($8.50). 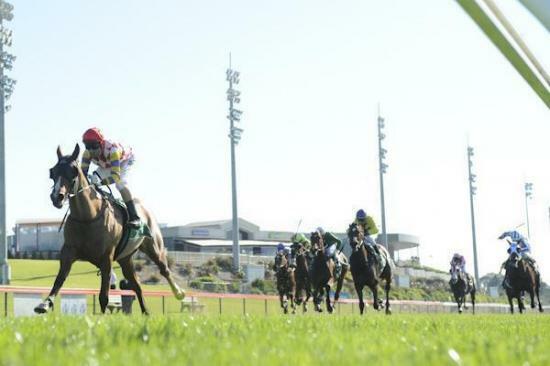 The win continued the stellar form of Noonan whose stable posted its fourth winner for the week.